James worked for years in manufacturing, building and creating. He watched three jobs in a row get moved to other countries, and it left a bad taste in his mouth for outsourcing. But James also knew his work in manufacturing wouldn’t scale his income, and he wanted to have more time with his family and provide for his daughter’s future. He started exploring other options, and that’s when James read the 4-hour workweek by Timothy Ferris. His outlook on outsourcing flipped on its head. With help from Filipino workers, James created several marketing and web-development businesses, including Ventin. He specializes in helping businesses develop and improve their online presence. “In my experience, businesses are great at what they do, but not great at developing an online presence,” he says. Over the last decade, James has worked with hundreds of businesses to create websites and optimize their online marketing, including the historic “church studio” in Tulsa. 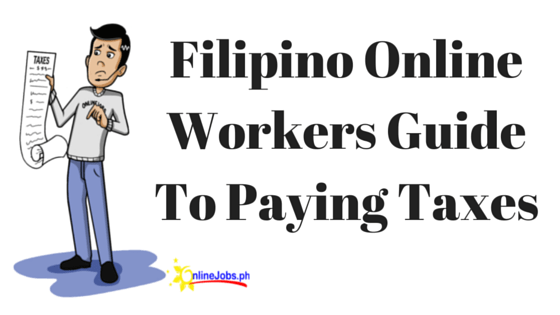 In his opinion, the key to outsourcing lies in managing Filipinos the “right way,” which he learned to do from John Jonas and the ReplaceMyself.com team. One of James’s managing secrets? His past work in manufacturing taught him that workers do best when they master and perform one task – whatever they love and are best at. James hired Filipino workers and it has made all the difference to him. Not only did outsourcing create freedom for James, it gave him the chance to create and take care of his “work family.” He says, “I…get skilled help from people who want to do good work in exchange for providing them with an income that could change their lives.” It’s a win-win opportunity. Get Started like James did! If you liked this post, you’ll find Matt, Kimberly, and Catherine’s success stories interesting. I am adaptable, works hard to be able to find solutions to provided task or job. I am looking for a stable and earning job, where i can manage and work at my own specified time. Hi I’m very thankfull i found this oppurtunity to be able to part of this business…i’m looking for a stable job and work at my convenient time. I have been looking for a job (full or part time) for months now but my retirement age is a hindrance. I tried looking online (home based) but I am at a loss. Please, someone, help me. My skills are listed below. Those in bold letters are the jobs I would like to do now. My skills: teaching (science, math, English), RESEARCH, WRITING, editing, and TYPING/DATA ENTRY. Hi! Why can’t I log in to my account? Please help. Hello. I am a retired Finance Manager of 2 international NGOs (17 years) based overseas. I am now back in the Philippines and want to start an online job (bookkeeping, virtual assistant, or customer service representative). Can someone help me by providing a training? Thank you. I would like to apply for a part time online data encoder or a vacant online job that would fit me. I am graduate of midwifery 2yr course. My previous jobs was in the hospital for 2years in a half & the recent was in the office as admin. Assistant. For now, I am a housewife taking care of my 1yr old son, as indefinite leave. I hope you could help me refer an online job sir/ma’am. Since I am not yet back to work, I grab this oppurtunity to email for me to have an extra income for my baby’s need. now I’m a housewife after giving birth to my son. Hoping to be a part of your good company. I am hardworking and reliable person. Thank you very much. Hi, I’ve already uploaded my ID, but whenever i was trying to apply for a job it always say my ID proof is lower than required.